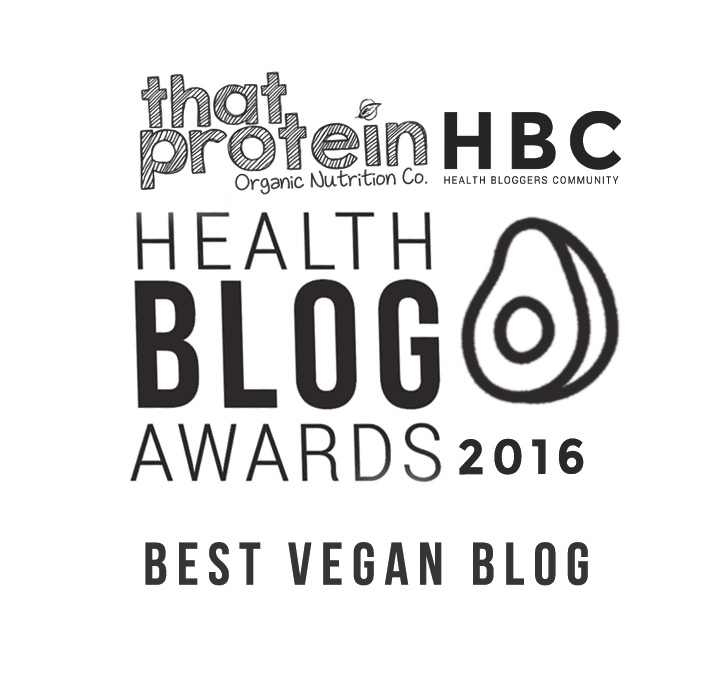 Hummus and tofu are two of my favourite things ever, but I've never tried combining the two....until recently! This recipe for hummus spiced tofu using Zest & Zing's Hummus Spice product is one of my most simple but most delicious recipes to date. 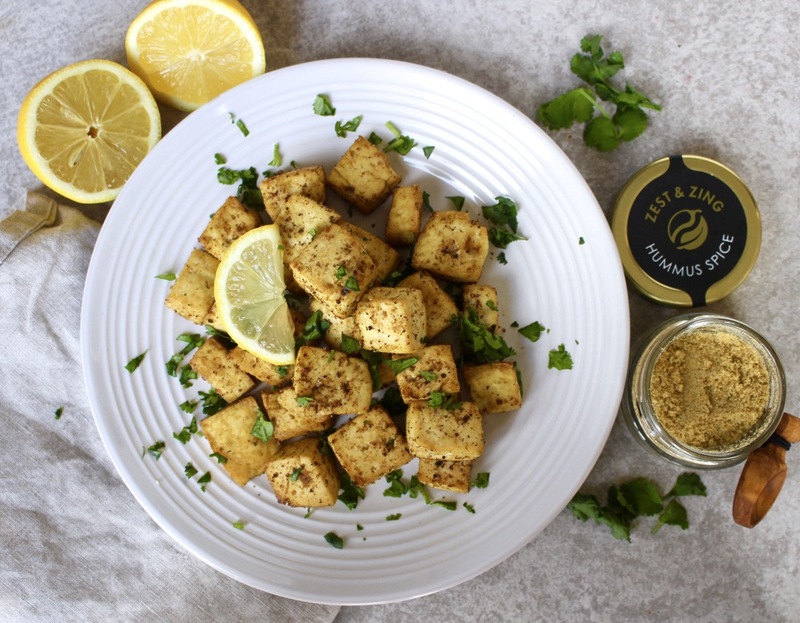 Tofu has this wonderful ability to be able to absorb flavours so well, so by marinating cubes of delicious tofu in a mixture of lemon juice, olive oil and the heavenly Hummus Spice blend really worked amazingly. Once baked in the oven the pieces of tofu turn beautifully crispy and the smell will be enough to make your tummy rumble! The hummus spice from Zest & Zing is made up of garlic, sea salt, lemon, cayenne pepper, parsley and olive oil and really does recreate that famous hummus taste we all love! It works so well in this recipe but is also a dream cooked with vegetables like aubergine or courgette and can be sprinkled on pitta bread or crackers for a boost of flavour! Try this tofu recipe as a high-protein, savoury, plant-based snack, a yummy edition to a salad or serve as a tapas dish with things like salsa, olives, pitta bread and cherry tomatoes. Chocolate is most certainly one of the most popular Valentines Day gifts, but have you ever thought of making your own chocolates to give a loved one? This brings so much more thought and meaning to the classic edible gift and you can even customise the chocolates with flavours you know the recipient will love! Making your own chocolates is much easier than you might think too! Especially with a handy pack like the Indigo Herbs Chocolate Making Kit which comes with all the ingredients you need to make your own chocolate treats. I had a go with the set myself to create these cute and super delicious heart chocolates complete with edible rose petals for an added Valentines touch....did you know they're an aphrodisiac? 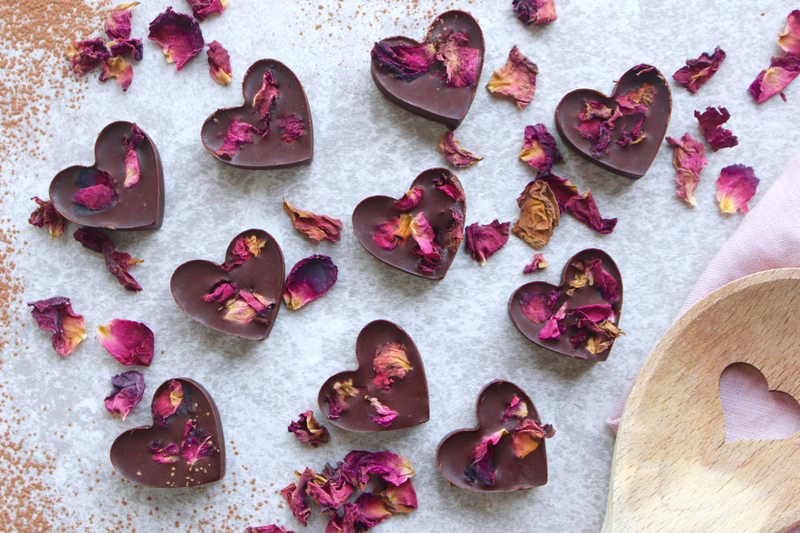 I used rose petals but why not try adding maca powder for a natural caramel-like taste, chopped hazelnuts for that nutella vibe we all love or a sprinkling of sea salt for salted chocolate goodness! Pancake Tuesday is just a few days away, so it's most certainly time to start thinking about what pancakes you're going to make on the day! 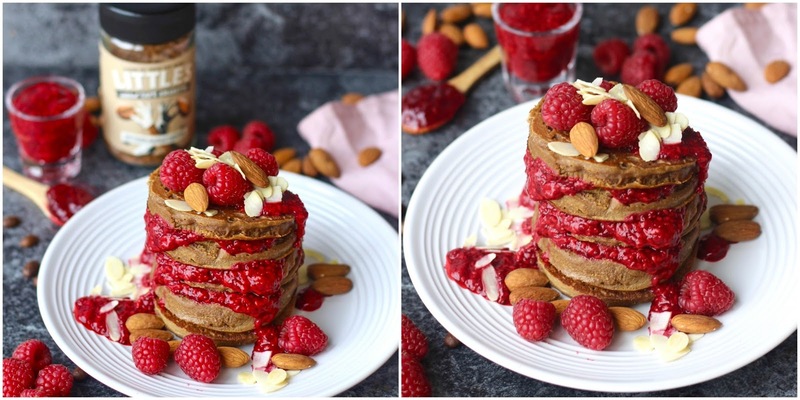 I've got the most delicious recipe that'll make pancake day something truly special - say hello to these incredible Raspberry & Amaretto pancakes complete with homemade raspberry chia jam! The pancakes are entirely gluten, dairy, egg and refined sugar free but they're packed with a load of flavour, have a wonderfully fluffy texture and are light yet super satisfying. 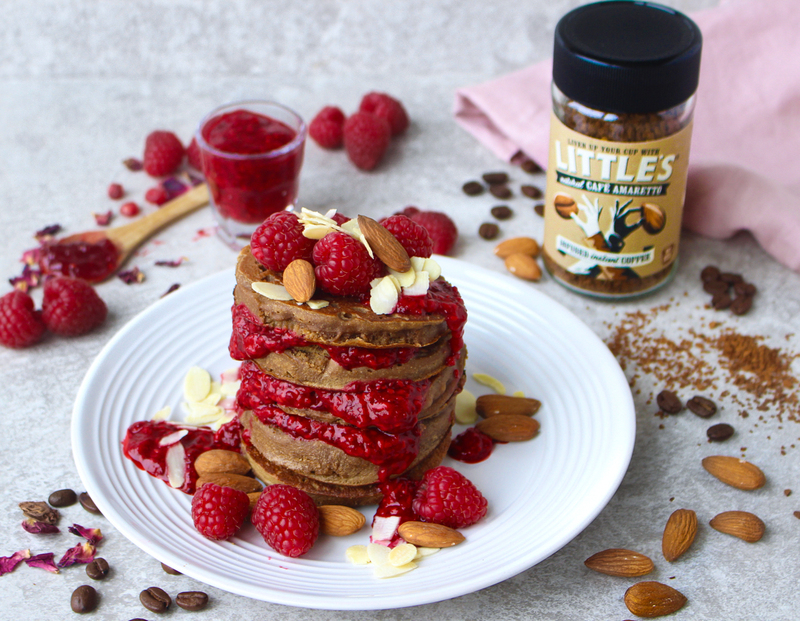 The amaretto taste comes from Amaretto flavoured coffee from We Are Littles which has been my favourite coffee for a little while now, so adding to a pancake recipe seemed like a fab idea and I was so right! The amaretto flavour is picked up even more by the flaked almonds on top and is complimented by the fresh raspberry jam so well. Heaven! TOP TIP - enjoy with a hot mug of Amaretto flavoured coffee to pick up that delicious taste more! And enjoy any leftover jam spread on a piece of toast, dolloped on porridge or smothered on rice cakes. Overnight oats are one of my favourite breakfasts, especially when I know I've got a busy week coming up as they're so easy to throw together the night before for a grab-and-go breakfast. 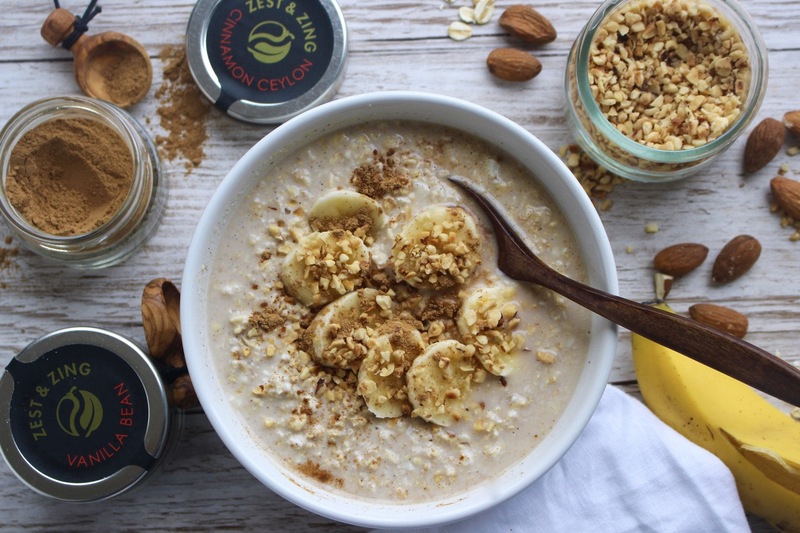 This recipe for Nutty Vanilla & Cinnamon Overnight Oats recipe is the most deliciously creamy, naturally sweet, satisfying, amazing breakfast that'll be a great way to start any day. I've added spices from a new spice brand I've discovered called Zest & Zing - they make the most incredible spices sold in the cutest little jars with a spoon included with each! I used the Zest & Zing vanilla powder & cinnamon powder in this recipe which works so well with oats as the grains have this magical ability to soak up flavours wonderfully. 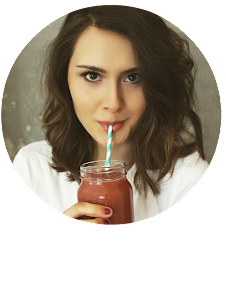 Valentine's Day is just around the corner, so of course I had to create a little recipe for the day! 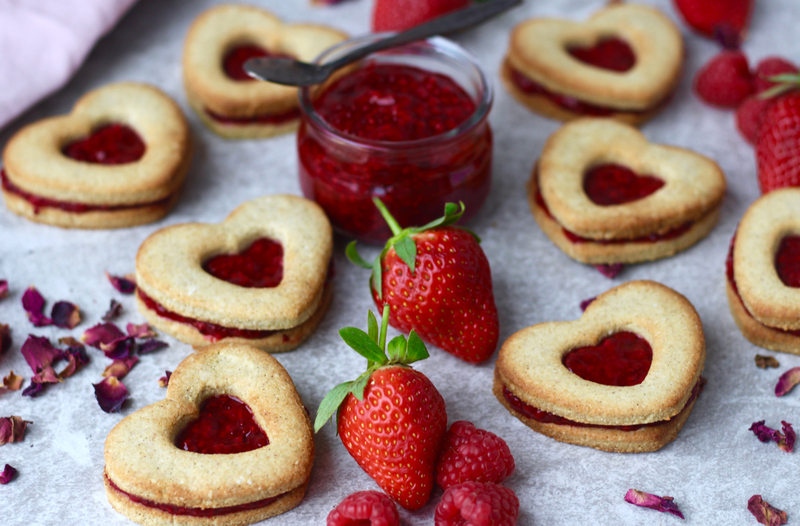 These Raspberry Jam Filled Biscuits -think healthy jammy dodgers- are the perfect treat to make for a your other half this valentines day. 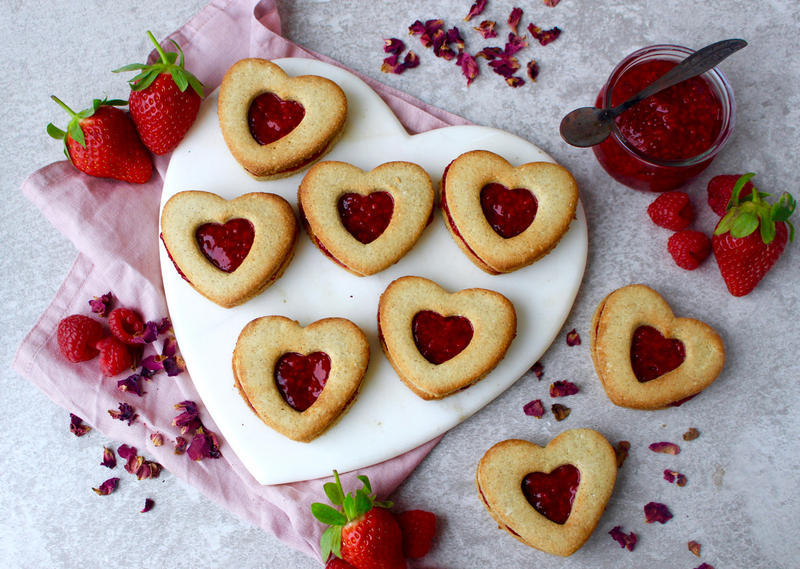 Or if you don't have a significant other why not make these biscuits for your parents, for your best friend or for any little ones in your family - they're all bound to love them! The gluten free cookies are deliciously sweet from the pure maple syrup with a vanilla flavour dreams are made off, which is of course paired perfectly with the tangy raspberry chia jam filling! Chia jam is actually one of my favourite things, it's just so quick and easy to make and tastes incredible, so pairing it with one of my other favourite things (vanilla cookies) just seemed like the best idea ever....and it really was. I'm incredibly pleased with how this recipe turned out and know it's going to be a firm favourite for years to come!